The people are taking back control. Theresa May is in a wee world of her own “not my fault it is my MPs that won’t do what I tell them.” Message there Theresa. Where are the men in grey suits when you need them. A couple in white coats could do the job instead perhaps. 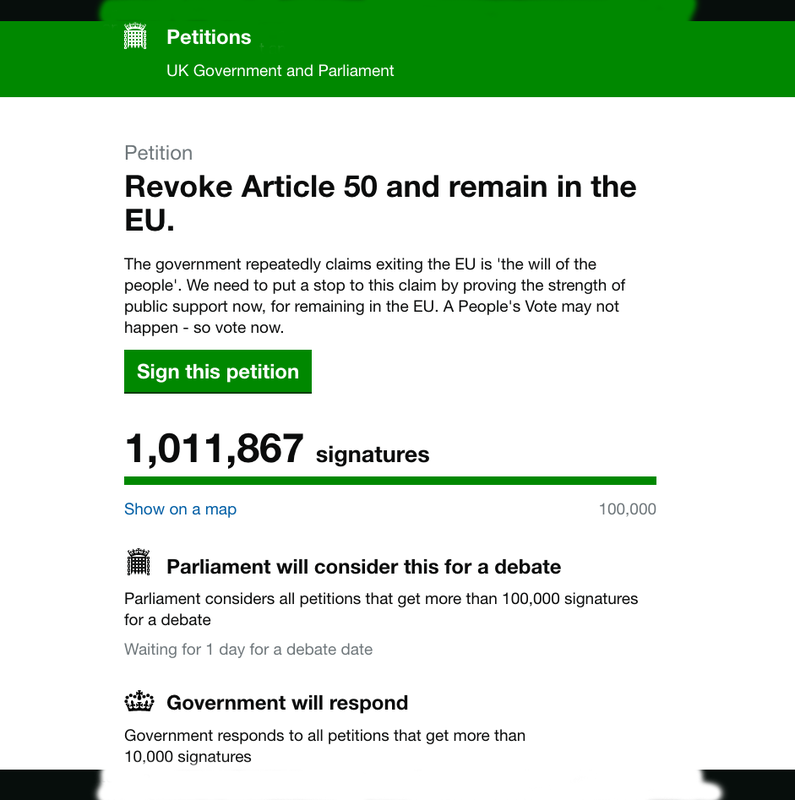 This is probably a record for a petition to the UK parliament. Certainly the speed it has mushroomed is a clear message to parliamentarians to get their act in order. 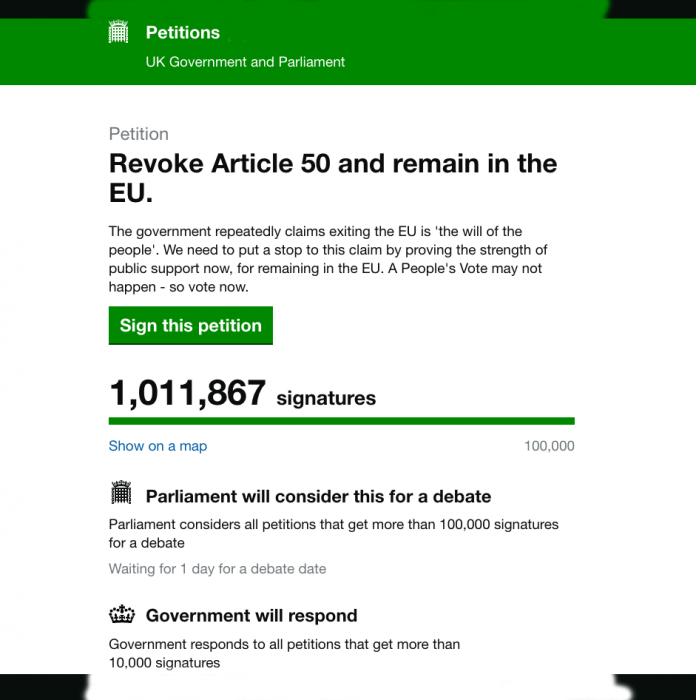 The green bar graph fills at 100,000 signatures which is the maximum number of signatories the system was expected to cater for. We have filled the bar over 10 times so far. The petition image was taken at 3.00p.m. today so expect additions when you click the links to sign. Bringing Leavers and Remainers together is never going to happen, there is no middle ground. One side will lose so it should be the Leavers for all the dark money not yet accounted for, Arron Banks millions that nobody knows the real source of, filtered through different companies and social media stolen data. Then there is Trump and his pal Putin who have a joint interest in weakening Europe and the EU. Europe is not perfect but it is miles better than Brexit Britain and a Westminster Parliament paralysed in inaction. It only takes a minute to sign do please help pile up the pressure on Westminster. Should you get a 502 message is means the site has crashed again, as it did this morning under the weight of people trying to sign. Just come back a bit later.